Koldo joined the Institute of Health & Society of Newcastle University as a Research Associate in October 2017. He holds a PhD in European and International Studies from King’s College London (2017), a Fulbright MA in International Studies from the University of Denver (2011), a MA in Theory and Practice of Human Rights from the University of Essex (2009), and a Law Degree from the University of the Basque Country (2008). 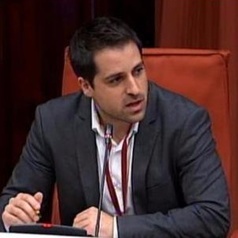 Between 2011 and 2013, Koldo was the Chief of Staff of the Human Rights Commissioner of the Basque Country (“Ararteko”). He has worked as a research consultant for Amnesty International on the rights to health, education and housing in Spain. Koldo is also the Policy Director of Just Fair, an organisation that monitors and campaigns for economic and social rights in the UK.